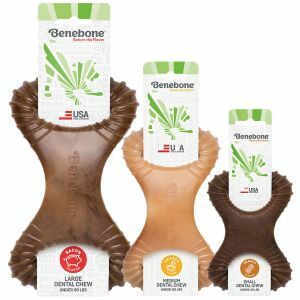 Benebone Flavored Wishbone Chew Toy. 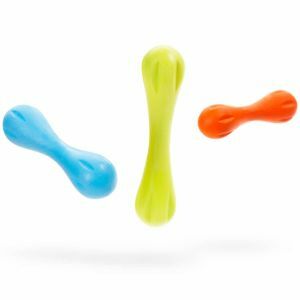 Patented ergonomic design – curved shape to allows dogs to pop-up one end and get a satisfying chew going. Deep grooves which allow pups to get a good bite and increased surface area for improved scent and flavor. Real ingredients and real Flavor – made with super-strong nylon and 100% [bacon, peanuts, chicken] for irresistible flavor and scent. 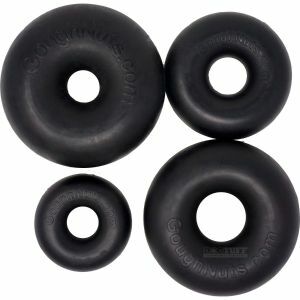 Not recommended for dogs heavier than: 30 lbs for Small, 60 lbs for Medium, 100 lbs for Large size. Made in the USA.